Ash Wednesday and the three days following are about preparing well for the Lenten season. How do we want to spend our Lent? Our main objective is spiritual growth so that by the time we enter into Holy Week, we are better prepared to celebrate these holiest of days. What exactly we do for Lent is entirely our choice, but the readings and today’s liturgy do offer some advice. The tried-and-true methods of spiritual growth are found in prayer, fasting, and almsgiving. So we gather to celebrate Mass (prayer), we eat only one full meal (fast), and we take up a collection for the poor (almsgiving). 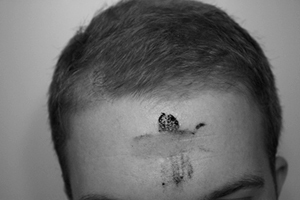 We are blessed with ashes to remind us that the things of life are passing and that we need to focus on the gift of eternal life gained by the passion, death, and resurrection of Jesus Christ. So today and for the next three days, we consider our Lenten journey and what spiritual practices we will take up so we will be prepared to celebrate Holy Week with greater zeal than ever before.